How much is Rob Riggle Worth? Rob Riggle Net Worth: Rob Riggle is an American actor, comedian and retired U.S. Marine Corps Reserve officer who has a net worth of $10 million. 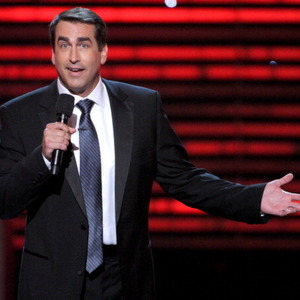 Rob Riggle was born April 21, 1970 in Louisville, Kentucky. He is best known for his work as a correspondent on Comedy Central's The Daily Show with Jon Stewart (2006-08), as a cast member on Saturday Night Live (SNL) (2004-2005), for his comedic roles in films such as The Hangover, The Other Guys, Let's Be Cops, Dumb & Dumber To, 21 Jump Street, 22 Jump Street, The Goods: Live Hard, Sell Hard and Step Brothers. He also co-starred in the Adult Swim comedy-action series NTSF:SD:SUV. He has a long-standing comedic partnership with comedian Rob Huebel with whom he frequently works with at the Upright Citizens Brigade Theater (UCBT) and in their former improvisational sketch comedy troupe Respecto Montalban. The duo's growing popularity, in fact, landed them an audition on Saturday Night Live in the summer of 2004. Riggle played the lead in 2011 CBS sitcom pilot Home Game, executive produced by Mark Wahlberg. In 2012, Riggle replaced Frank Caliendo for the comedy skit and forecasting portions of Fox NFL Sunday. Also in 2012, Riggle had a recurring role as Kevin Jesquire in season two of the FX comedy series Wilfred. In October 2013, Riggle played the role of Satan in the music video for Steel Panther's music video Party Like Tomorrow is the End of the World. 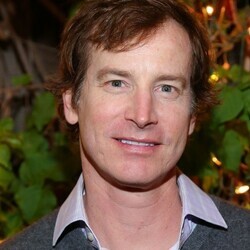 Riggle was cast (with Rob Lowe) in the 2014 pilot for the single-camera comedy The Pro as Bobby Welch, a former professional tennis player.